She was born in March of 1874 to Martha Ella McSwain, who, herself was only born in 1860. Martha Ella, known as Ella, was the daughter of John Calloway McSwain and Elizabeth "Betty" Floyd. John C. McSwain was a Civil War casualty and died in 1862, leaving Betty with the one child. Ella's aunt. C. Sophia Floyd, married a man named Caleb Hampton Aldridge, a great, great, great uncle of mine in 1866. Sophia died in 1868. On October 10 of 1869, Hamp Aldridge married his wife's widowed sister, Betty Floyd McSwain. And this is where it gets ugly. Both Betty and Hamp came into the marriage with a child apiece. Bettie had Ella and Hamp had a son, George Gilliam Aldridge. After the marriage, they had two more children together by 1874. 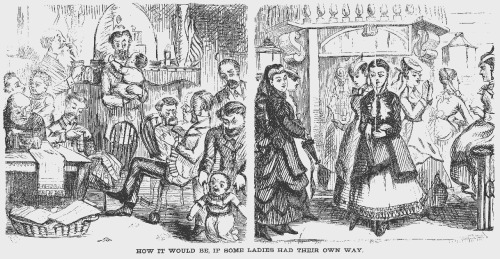 But in 1874, Bettie was pregnant with son Henry F. Aldridge, and young Martha was also pregnant...with Inez, known as Nezzie. married J. Frank Smith by this time. Nezzie would become the mother of 4 daughters. Her first daughter, Jenny Lenora McSwain was born on September 25, 1891, when she was 17 years old. Her second daughter, Verina Isabelle McSwain, was born February 27, 1892. As these two girls were born so close together, it is logical that they probably had the same father, whose identity is yet unknown, and could forever be. The next year, at the age of 18, Nezzie married another unfortunate child, William Thomas Hooks, son of my great, great grandfather, William Mathew "Matt" Hill, and Emmaline Hooks, who was Matt's sister-in-law, the younger sister of his wife Sarah Jane Hooks Hill. The wedding was performed by a minister named Rev. L. A. Whitlock and took place on October 15, 1893, 'at the home of her father', meaning the Homeplace of Caleb Hampton Aldridge in Tyson community, near Aquadale, Stanly County. A Marshall Howell applied for the license, and usually, this was someone close to one member of the wedding party or the other. Witnesses were Nezzie's half-brothers, G.G. (George Gilliam) Aldridge and W. C. (William Crowell) Aldridge and Willie H. Lee, a neighbor. The first child born after the wedding was Martha Irene Hooks, just 9 months later on July 9 1894. She was obviously named for her grandmother, Martha Ella McSwain, never married, and died as a young woman. The youngest daughter, Lina, was born two years later, on September 6, 1896. And then, something went wrong. 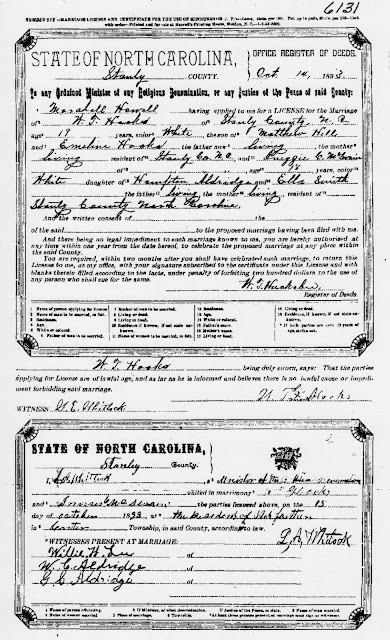 The very next year, in 1897, Tom Hooks mother, Emmaline Hooks, who had had 5 illegitimate children, married a widowere, Henry Martin Munson, from Cabarrus County and moved there. Tom must have been taken with his daughter, Della Jane. Tom and Della Jane supposedly were married, but I am still searching for a license. What I do know is that their first child, a son named Adam Walter Hooks, was born on December 14, 1899. The 1900 census shows Tom and Della living with Adam in the Rocky River community of Cabarrus County, living 2 houses away from his mother Emmaline and her new family. Nezzie is shown in the 1900 census living back in the home of her father, Hamp Aldridge, with 2 of her daughters, 8 year old Lenora and 3 year old Lena. In fact, Nezzie only shows up in 2 censuses, as a 6 year old child, in the home of Hamp Aldridge, and then again in 1900. It is not yet known where Inez C. McSwain Hooks was buried, or when she died. She passed away before her daughters married. 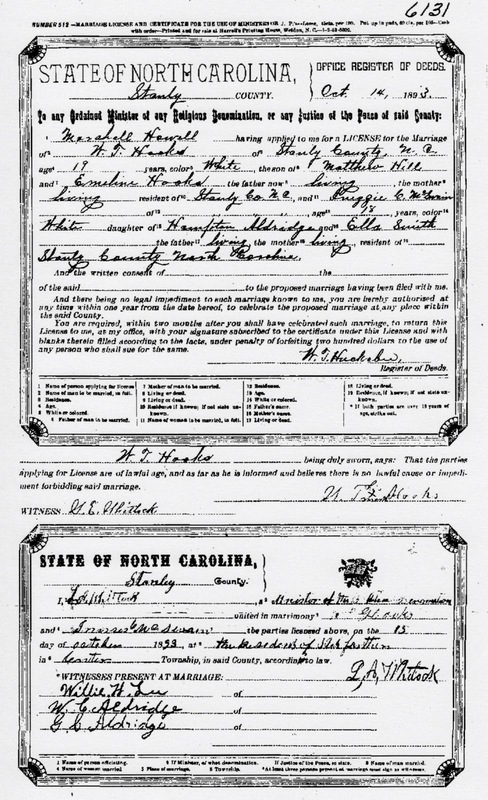 Verina's marriage license to Eb Whitley in 1907, and Lenora's to John Teeter Davis in 1912, both list her as deceased. If anyone knows the identity of the father of Inezzie's oldest two daughters, or where she was laid to rest, please contact me. Desecendants of Inezzie would like to know.